Sandwiched between a sapphire lake and a mountainous Patagonian national park, Puerto Rio Tranquilo makes an excellent base for outdoor tourism. Explore Puerto Rio Tranquilo's surroundings by going to Paredon de las Manos de Cerro Castillo (in Villa Cerro Castillo) and Baker River (in Puerto Bertrand). 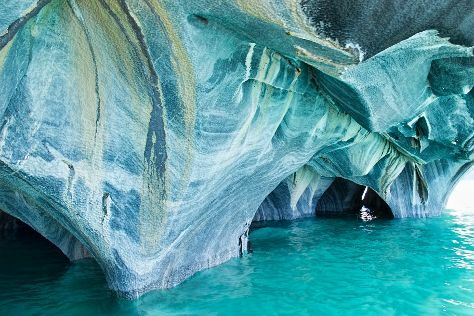 Next up on the itinerary: pause for some serene contemplation at Catedral de Marmol, get outside with Glaciar Exploradores, and explore the striking landscape at Capillas de Marmol. To see ratings, traveler tips, more things to do, and more tourist information, you can read our Puerto Rio Tranquilo sightseeing planner. Use the Route module to find suitable travel options from Milan, Italy to Puerto Rio Tranquilo. The time zone difference when traveling from Milan to Puerto Rio Tranquilo is minus 4 hours. Expect somewhat warmer temperatures when traveling from Milan in December; daily highs in Puerto Rio Tranquilo reach 21°C and lows reach 9°C. Cap off your sightseeing on the 25th (Sun) early enough to travel back home.